TooManyPlants Mod 1.4.7 is a mod for anyone who wishes that Minecraft had more in the way of naturally occurring botany and has somehow missed all of the other mods that already do that. As of version 1.5.0, it adds a total of 15 new generating plants, as well as a reasonable number of new items to craft with them. 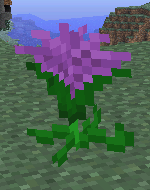 Description: The glow flower is probably the first new plant you’ll see when you generate a new world. In order for it to glow, you need to pick it and then place it again. These flowers glow very dimly, so they’re mainly only useful as decoration. 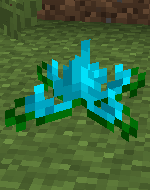 Description: While air flowers are significantly less common than glow flowers, they do tend to grow in larger clumps. 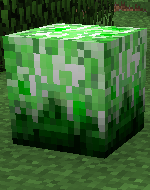 When you place one, it will clear out any nearby water to make a 3x3x3 air bubble centered around itself, much like how sponges used to work. Handy for starting underwater building projects! You can also mount one on a stick to make a Rainstick. Description: Bean plants aren’t particularly rare, but they blend into grass very well. When broken, they drop 1-2 beans. Beans can be planted in dirt and will grow into a new bean plant after five minutes. They’re also crafting ingredients in bean stew and magic beans. 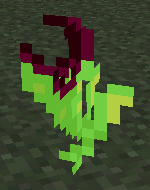 Description: The pitcher plant acts as an infinite cauldron. 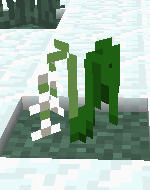 While a water source block will accomplish that task equally well, pitcher plants won’t flood your house if you accidentally break the block holding them. Also, they’re more decorative! Description: Ever wish you could farm bones literally instead of figuratively? Well, now you can! Bonefinger grows on netherrack in the darker corners of the Nether. When harvested in the wild, it drops only boneseed, but when grown by the player, it’ll also drop 0-4 bones. Bonefinger requires darkness instead of light, and while it will grow outside of the Nether, it won’t grow nearly as fast. Description: Lichen will slowly spread to cover any nearby rock-like surfaces and is very very flammable. It can be toasted in a furnace to make roasted lichen, which will cure you of any debuffs (or buffs) much like milk, while remaining conveniently stackable. It even heals a heart! Description: While creepara technically spawns fairly commonly, it only grows underneath leaves, making it very difficult to spot. Left clicking, touching, or shooting an arrow at creepara will cause it to explode. Violently. The only two ways to harvest it are to cover it in water on all sides except its bottom or to use golden shears to break it. 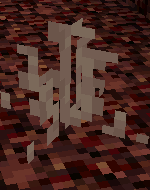 Additionally, if you feed a creepara five gunpowder (right-click it), it will randomly transform leaves in a 3x3x3 area into more creepara. Also, you can craft them with a bucket to get a bucket of water. 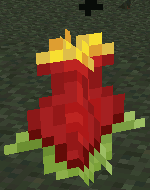 Description: Much like torches, fire flowers emit smoke, although they don’t emit light. If you put one on a stick, you get a firelauncher. Description: Dawnflowers will open during the day and close at night, making them theoretically useful as a watch when underground. Apart from that, they’re an easier way of acquiring purple dye. Description: Breaking a berry bush will yield 1-4 berries. Berries can be eaten for some healing and a short speed boost, or you can use them as ingredients in a berry pie. Description: Breaking a lotus will drop a lotus blossom, which can be eaten for 15-30 experience. Description: Lilies by themselves aren’t particularly useful, but their seeds can be gilded, allowing you to grow gilded lilies that yield small amounts of gold. 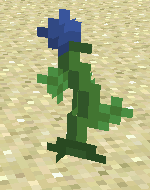 Description: The evil flower grows on sand instead of dirt. Attempting to break it with anything other than shears will kill you instantly. 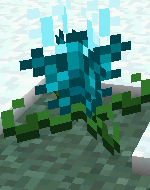 Breaking it with shears will deal 5 hearts of damage and yield an evil flower petal. 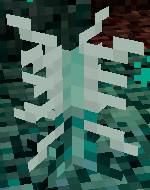 Description: Chillspike will always be surrounded by frozen netherrack in the wild. It will freeze any water or lava that comes next to it, as well as put out any fires. 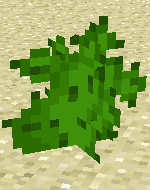 It also acts as a cactus, but with knockback. It’s very difficult (but possible) to break with anything other than golden shears, as you’ll take a five hearts of damage and get knocked back otherwise. 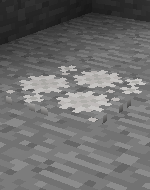 Finally, it’ll slowly freeze netherrack within a diamond shape around it over time. Description: Grind up (craft) nine of it together to get magic powder. Description: Used for making magic beans. Description: Right-click while holding one of these and it’ll start raining in seconds. Alternatively, use it while it’s raining to clear the skies. You can only use it three times before it breaks. Description: You can plant it in dirt to grow a new bean plant. Or you can make it into bean stew. Or you can craft it into a magic bean, or a lesser magic bean. Description: Bean stew not only fills up your hunger meter, but also heals five hearts! 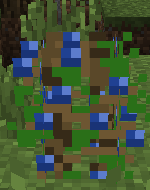 Description: When you plant a magic bean in dirt, it will grow a beanstalk until a block gets in the way. 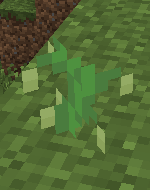 If the beanstalk reaches the height limit, it will sprout a pod on the top which will yield a good amount of gold, iron, and beans when broken. You can climb a beanstalk by standing next to it and mashing jump. You also won’t take any falling damage if you hit the ground while next to a beanstalk. Description: Works just like a magic bean, minus the pod. Description: Seeds from a bonefinger plant. You can use them on netherrack to grow more bonefinger. Description: When eaten, heals a heart and removes any buffs or debuffs, much like milk. Description: Right-click while holding one to shoot a fireball. It uses fire charges as ammo. You can use it ten times before it breaks. Description: Eat one to heal half a heart and get Speed II for 60 seconds. Description: Berry pie is eaten in three pieces, much like cake in Runescape. Each piece will heal one heart, one hunger, and grant Speed II for 90 seconds. Description: GIves you 15-30 XP when you eat it. 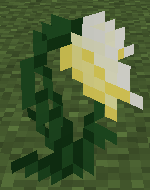 Description: Plant them for a new lily. Description: Plant them to get a small gilded lily. After a while, it’ll grow into a regular gilded lily, which will drop a gold ingot when broken. You can’t plant them within 5 blocks of any other plants. Description: Golden shears are exactly the same as regular shears, except that they have half as many uses and can harvest more things (currently just chillspike and creepara). Description: Just like netherrack, only a bit harder and fire resistant. It’ll turn back into normal netherrack if lava flows over it. 2. Place TooManyPlants.jar in the mods folder in .minecraft. This is for both client and server! TooManyPlants Mod now reports (anonymously) how many unique IPs use it. If you want to disable it, add ‘B:snoop=false’ to the misc section of your config before updating.